FREE SHIPPING IN THE USA He-Man's Power sword is charged!!! 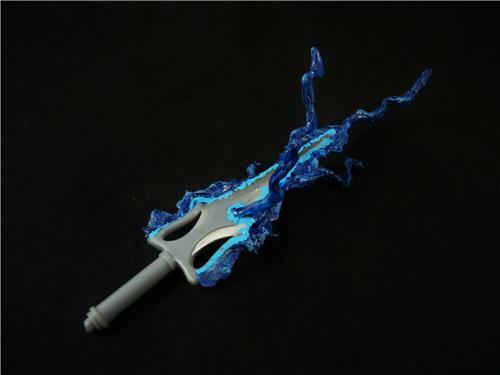 this amazing sword features the Power Of Grayskull entering He-Man's body!! These original accessories have been enhanced by Hunter Knight Customs by adding a thunder to increase the dramatic effect on your display shelf! Painted with a mix of durable acrylics and translucent flexible plastic, this is the ultimate power sword to enhance your He-Man figure! This is an artist's rendittion non affiliated or endorsed by Mattel or any other company. HE-MAN figure is NOT included, shown for comparison purposes only.